Offering you a complete choice of products which include halquinol 12.5%, scour - cure ( feed supplement ) and vetbiolyte feed additive. 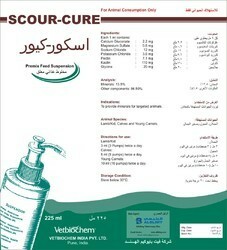 We are Offering you feed additive Halquivet 12.5% contains Halquinol 12.5%. 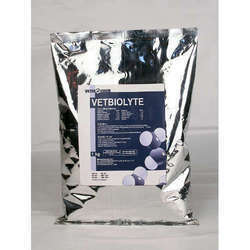 We are a renowned organization that is engaged in manufacturing, supplying, retailing and exporting Vetbiolyte Feed Additive. Our range is processed using sodium chloride, calcium lactate, magnesium sulphate and various other chemical compounds. These products provide energy and supportive therapy for chicks immediately after arrival at farm. 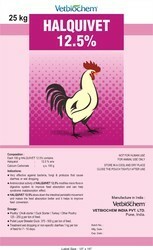 Looking for Feed Supplement ?